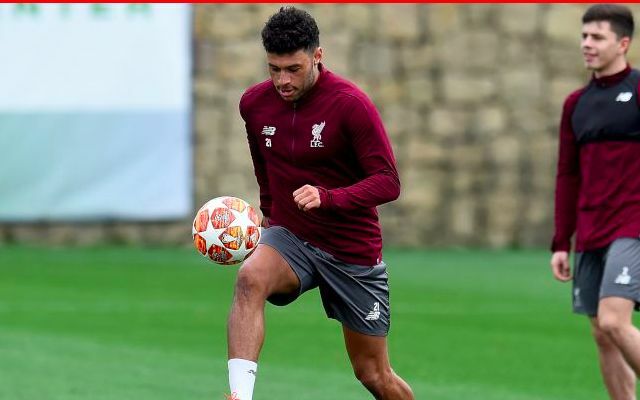 Liverpool fans were given a welcomed boost on Tuesday as Alex Oxlade-Chamberlain took part in his first full training session since being sidelined with a knee injury. It marked significant progress in the midfielder’s recovery on the back of him rupturing cruciate ligaments in last April’s Champions League semi-final first leg against Roma. The Englishman was pictured taking part in a rondo during the Reds’ first day of their Marbella training camp as he nears his return to action. Providing there are no further hiccups over the next few weeks, he could be available for selection again in March ahead of a thrilling finish to the Premier League season. That said, the club will rightly continue to monitor his condition with caution in aid of easing him back gently, making it unfair for supporters to hold high expectations of what he may be able to offer in the coming months. Having previously been ruled out for the entire season, for him to feature in any capacity would be a bonus. Seeing Alex Oxlade-Chamberlain back in training is such a fantastic sight! Can’t wait to see him in games. When Oxlade-Chamberlain returns from roughly a year out, he will likely have some poor games and take time to get back up to speed. Some people will slate him during that period – they deserve to stand on plugs barefoot for the rest of time.